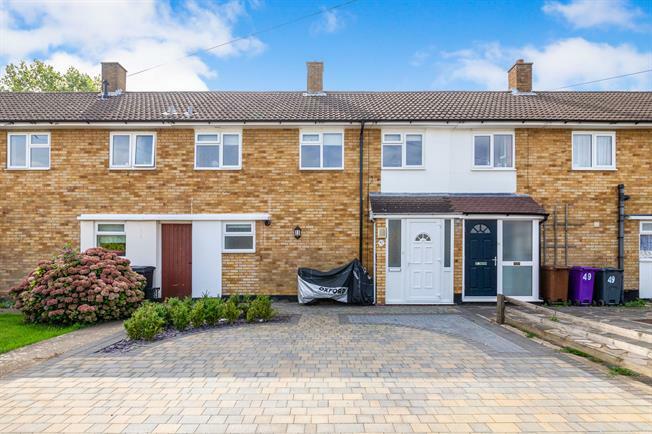 3 Bedroom Terraced House For Sale in Letchworth Garden City for Offers Over £300,000. An extremely well presented three bedrooms terraced family home with off road parking and a large rear garden. Letchworth Garden City is renowned for its lively atmosphere created by its host of popular shops, restaurants, bars and leisure facilities. This is accompanied by its convenient links into London, Cambridge and Peterborough via both direct rail link and the A1(m). The property comprises, entrance hall, spacious lounge with double glazed uPVC patio doors, kitchen/diner with space for appliances and fitted units, downstairs utility room with cloakroom. On the first floor, main master double bedroom, second double bedroom, third bedroom and main modern family bathroom. The property further benefits from off road parking and large rear garden with wooden workshop.